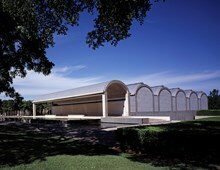 The Menil Collection, located in Houston, Texas, United States, refers either to a museum that houses the private art collection of founders John de Ménil and Dominique de Ménil, or to the collection itself. Dominique was an heir to the Schlumberger oil-drilling fortune, and John was an executive of that company. 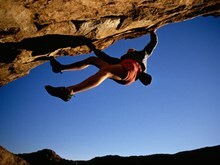 It’s the climber’s equivalent of Mecca: Every winter, between November and March, thousands of climbers from across the world make the pilgrimage to Hueco Tanks, an 860-acre (348-hectare) bouldering area outside El Paso, Texas, with more than 2,000 problems—and counting. 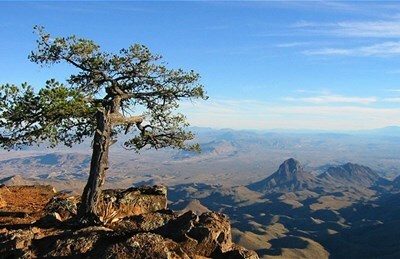 It’s renowned for its dry, sunny weather, bombproof igneous rock, and fantastical rock formations that make for endlessly challenging climbing." Deep in the southwestern corner of Texas, the Rio Grande enters an arid, no-man’s-land of deserts and canyons that for centuries has been considered godforsaken. For rafters, however, there’s liquid gold in these hills. 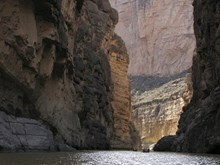 For 231 miles (372 kilometers), between Big Bend Ranch State Park, Big Bend National Park, and the town of Dryden, the river winds through canyons as deep as 1,500 feet (457 meters) and wide-open rangeland with views of faraway mountains, offering one of the country’s top river trips." The Bishop's Palace (a.k.a. 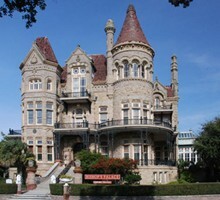 Gresham House) is a National Historic Landmark which architectural historians list as one of the most significant of Victorian residences in the country. "The house was built from 1887 to 1892 for Colonel Walter Gresham and his wife Josephine, with whom he had nine children. An attorney and entrepreneur, Gresham came to Galveston from Virginia following his service in the Civil War. He was a founder of the Gulf, Colorado and Santa Fe Railroad, eventually working to bring about the merger of the Santa Fe with the Atchison and Topeka Railroad. He also served in the Texas Legislature." The Kimbell Art Museum in Fort Worth, Texas, hosts a small but excellent art collection as well as traveling art exhibitions, educational programs and an extensive research library. Its initial artwork came from the private collection of Kay and Velma Kimbell, who also provided funds for a new building to house it. The building was designed by renowned architect Louis I. Kahn and is widely recognized as one of the most significant works of architecture of recent times.